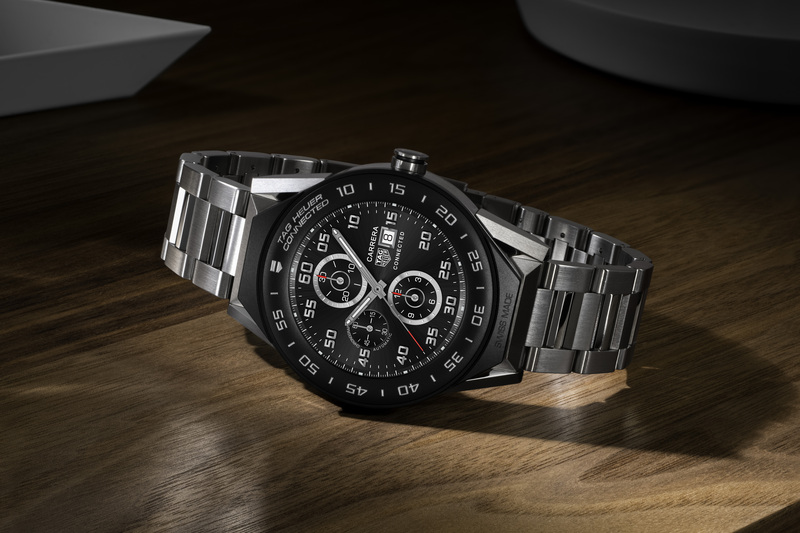 TAG Heuer, the famous Swiss watchmaker whose name is notoriously difficult to pronounce (it's actually pronounced "tag hoy-yer"), has just announced the TAG Heuer Connected Module 41, a smaller version of the Connected Module 45 that was launched in Q1 of last year. As the name would imply, the watchface on the Connected Module 41 measures 41mm in diameter (that's one and five eighths of an inch if you love fractions and imperial units), which isn't exceedingly small for a watch, but which should hopefully begin to address one of Ryan's largest complaints with the Connected Module 45. TAG is releasing seven standard models of the Connected Module 41, as well as nine different straps (including three new colors: pink, blue, and white leather). The watch runs Android Wear (obviously), but TAG hasn't specified exactly which version it's running. Since the Connected Module 45 is set to "eventually" receive an update to Oreo, it may be reasonable to assume TAG's new watch will also be getting Oreo soon, if it isn't launching with it already. The Connected Module 41 will also retail for less than its larger cousin: prices start at $1200 instead of at $1550 for the 45mm model, though for some that may still be too hefty a sum to pay for a smartwatch. 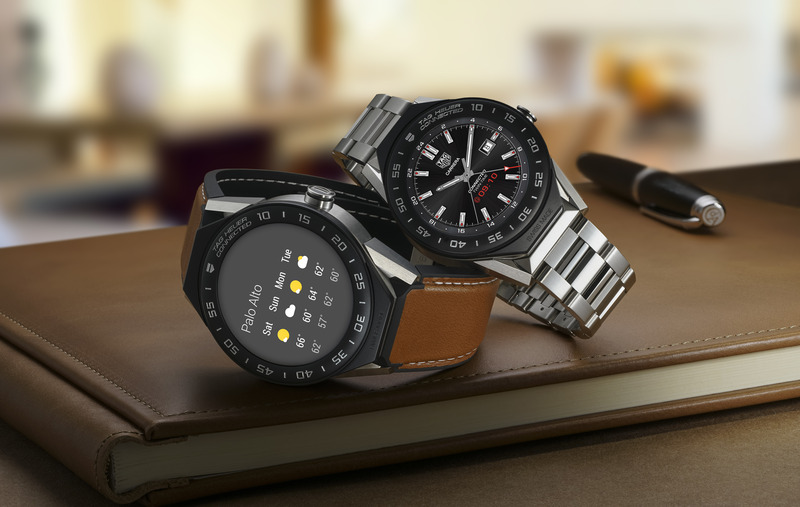 Of course, the Connected Module 41 is a luxury smartwatch, so it does come with the sort of quality and craftsmanship you'd expect from a premium watchmaker like TAG Heuer. In addition to boasting a scratch-resistant sapphire glass screen, the Connected Module 41 is built from materials such as titanium, or gold for the more expensive configurations. 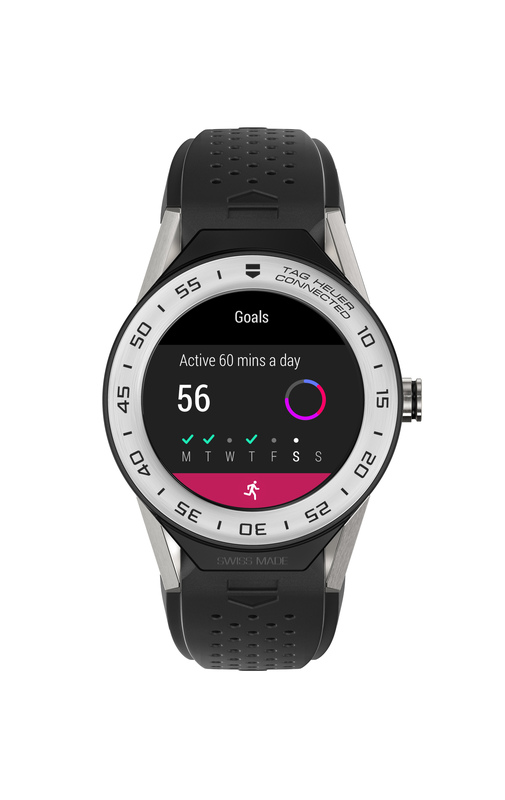 It also comes with all the functionality of its larger sibling: the new watch is waterproof to 50 meters, has NFC, Bluetooth 4.1, Wi-Fi, and GPS, and works with Android Pay (erm, I mean Google Pay). The display is an AMOLED with a resolution of 390 by 390 pixels and a pixel density of 326 ppi, and TAG says that the brightness of the screen has been improved and now goes up to 350 nits (Ryan also thought the display on the Connected Module 45 was too dim). Internally, the watch has received a significant update, doubling the RAM and storage to 1GB and 8GB, respectively. TAG hasn't said whether they've kept the Intel Atom Z34XX processor that's on the Connected Module 45 (the specs on their website say they have, but they also state the storage and RAM figures of the 45mm model, so someone clearly just copied and pasted the numbers), but it wouldn't be surprising if they had. The latest version, smaller in diameter and featuring new colours, is added to the Swiss watch brand's connected watch collection. The model has been specially redesigned for the smallest wrists. 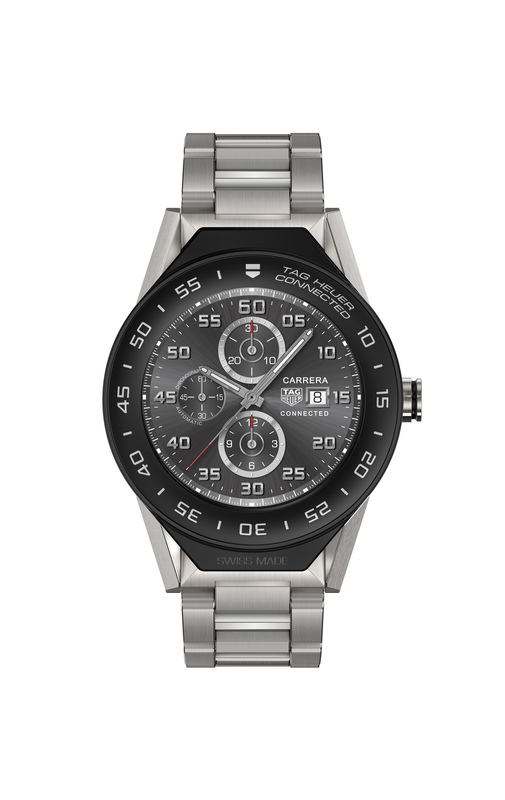 Unveiled in March 2017, the TAG Heuer Connected Modular 45 redefined the possible for a luxury connected watch. Entirely Swiss Made and incorporating an ingenious modular concept, it embodies TAG Heuer's status as leader in the Swiss luxury connected watch segment. Today, TAG Heuer is delighted to unveil the latest addition to its collection: the TAG Heuer Connected Modular 41. With an elegant diameter of 41 mm, the TAG Heuer Connected Modular 41 is now suited to the smallest wrists. Innovative, unique and distinctive, the TAG Heuer Connected Modular 41 is at the forefront of the latest technologies available in Silicon Valley and, at the same time, a genuine Swiss watch bearing the Swiss Made label. 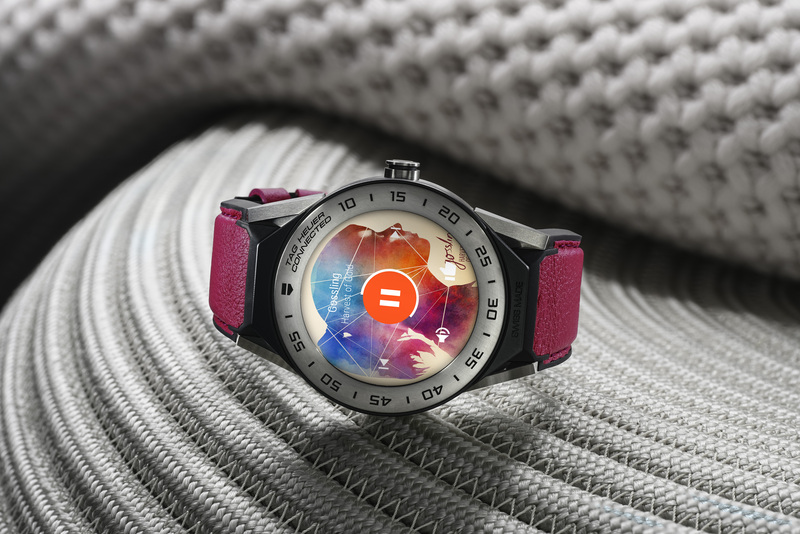 Developed in collaboration with Intel and GoogleTM, the TAG Heuer Connected Modular 41 features a number of improvements made to the 45 mm version: its AMOLED 390x390 screen offers 326 ppi resolution and improved brightness – max. 350 nits. Its storage capacity has also been increased to 8 GB, and its RAM memory to 1 GB, making it extremely smooth under any usage conditions. The TAG Heuer Connected Modular 41 also features the ingenious modular concept. 7 standard models are available in boutiques and online, and the strap and lugs can be customised. New strap colours have been added to the collection: pink, blue or white leather. A total of 9 different straps are available. The connected module can still be replaced with a Calibre 5 three-hand mechanical module. The connected watch becomes an attractive mechanical watch in just a few clicks. 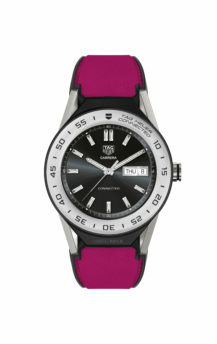 TAG Heuer Connected Modular 41 was designed at TAG Heuer in Switzerland. It is water resistant to 50 metres and features GPS, an NFC sensor enabling contactless payment via Android PayTM, a superb, very high definition AMOLED screen and numerous infinitely customisable TAG Heuer dials from the TAG Heuer Studio. Running on the Android WearTM operating system, the TAG Heuer Connected 45 and 41 are compatible with AndroidTM 4.4 phones and iOS 9 or later versions. This is a true luxury connected watch, redesigned for small wrists and easily adapted to appeal to the brand's female clientèle thanks to its elegant yet bold design. You can visit the website www.tagheuer.com for an experiential discovery of the new connected watch. Available to purchase online in a selection of market.